Your company’s choice of software is critical to your business’ performance. Off-the-shelf software is a product that you buy and use without customisation – take Microsoft’s Office Suite or Adobe Photoshop for example. Bespoke software is designed and built on demand with a specific purpose in mind for the organisation that has commissioned the build. 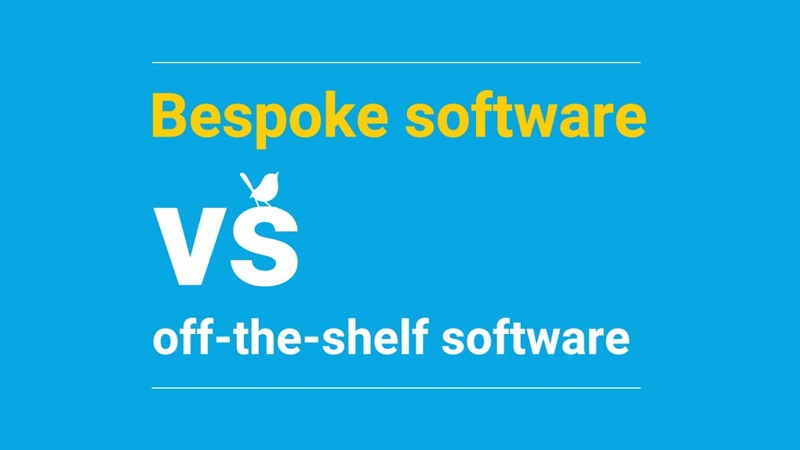 In this piece, we take a look at the advantages and disadvantages for both bespoke and off-the-shelf software solutions. Whatever task you want to complete, there’s software to tackle it. However, with off-the-shelf software you often make compromises. It’s more generic because it has been built for a much wider audience. That’s not to say that the software won’t do what you want, but there is likely to be a host of features that you don’t need. Microsoft Word; how often do you use its Smart Lookup or referencing functions? Handy for some, but not why most people buy it. You have total control of the features in a bespoke application. It’s designed to tackle your unique requirements. As your company grows and changes, so can your bespoke software. We implement agile project management, so you see the progress of the software throughout its development. This level of transparency allows for valuable feedback, meaning the project is flexible throughout its development, and beyond. Off-the-shelf software is suitable for a mass-market, so has typically undergone vast testing – from focus groups to beta testers. You receive a product with carefully considered functionality. It is likely that it has been created by numerous developers. However, there’s no guarantee it won’t be overly complicated for what you need it to do, or not quite do what you want it to. The functionality represents what works best for you. It’s built alongside your current processes. It’s previewed and tested by you, so if there is any aspect of the functionality that you don’t like, you can simply request it to be changed. The functionality is built and tested by you and a team of highly skilled developers, allowing for a free exchange of ideas, where you can shape exactly what the product delivers. Off-the-shelf software is used by a larger number of people; there is likely a support and help function on hand to respond to questions, and even forums and online communities that may have asked and answered many of your questions. If there isn’t an answer to your question, you can be left frustrated and stuck without a solution to your problem based on the limitations of the application. You have direct communication with the person who built your bespoke software solution, this allows you to send any questions straight to the developer, and means they can work with you to fix it. If the software is popular, you may not need to train your team how to use it. They may already know. There could even be training courses conducted by a specialist. Alternatively, you may find the software is so complex that it requires extensive training. Take popular CRM systems such as Salesforce, for example. With the software being engineered for your business, no one will have prior experience, so training is inevitable. However, because it’s bespoke to you, it’s built to work in line with your processes. As part of the close working relationship with your developer, you gain hands-on experience alongside the software’s creator. If anything is too complex, it can be changed. If you introduce an off-the-shelf package into your current processes, you may find that you need to adapt to accommodate it. This could lead to resistance from team members. It’s also worth considering what will happen when your company grows and how the software is going to work for your business in the future. With bespoke software, integration is one of the key considerations This software can be built to incorporate existing systems and databases without data loss or negative impact on your business. And if your company grows, the software can be customised and adapt with you. The production costs for off-the-shelf software are spread across thousands of users, so it has a lower buy-in. However, you typically need to pay for additional users. So, as you grow, you’re faced with growing fees. Bespoke software will generally cost more initially, simply because it’s built to your unique specifications. However, your software scales alongside your company’s growth. 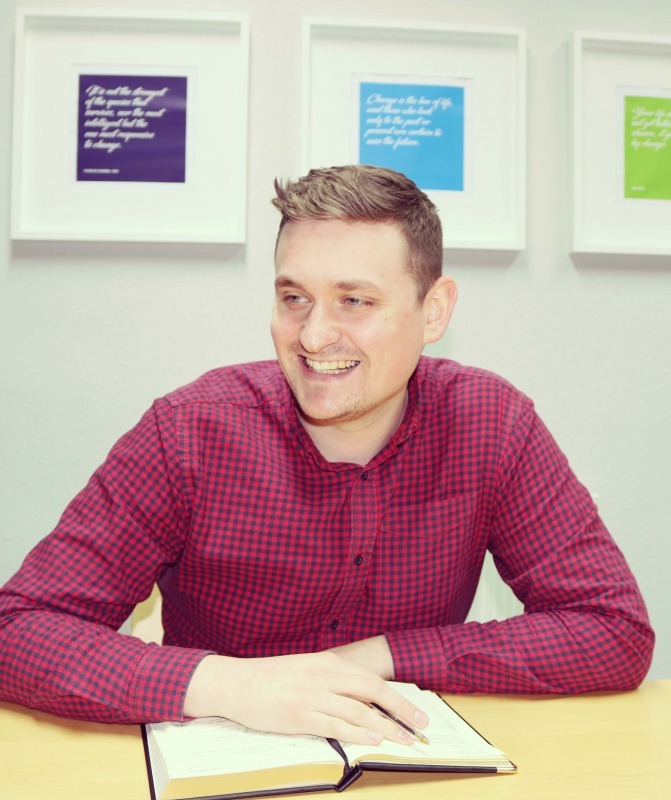 Bespoke software adds value and saves resources by reducing waste. Whatever your requirements, it’s worth considering which solution works best for your business. If you’re still undecided, or would like to discuss how our bespoke software can create positive change, just get in touch. You can also check out some of our case studies.